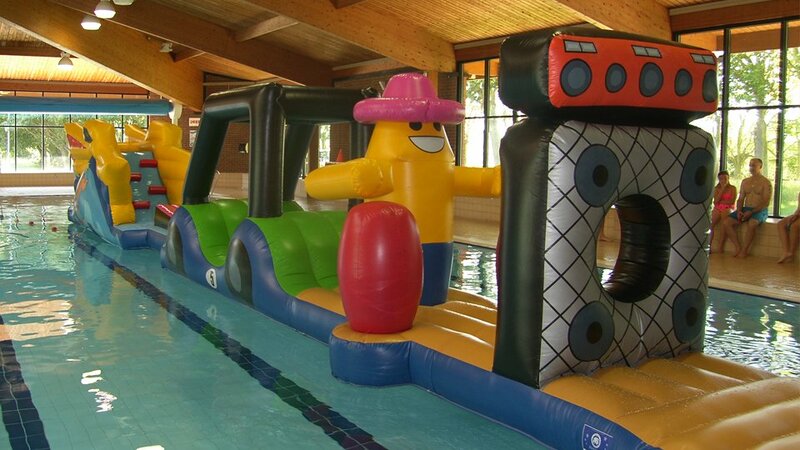 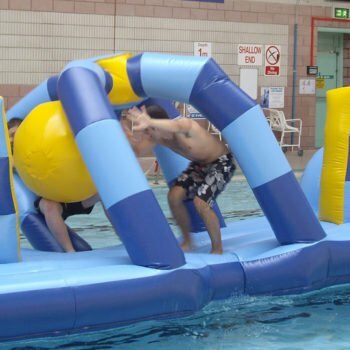 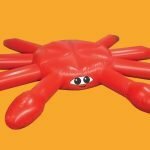 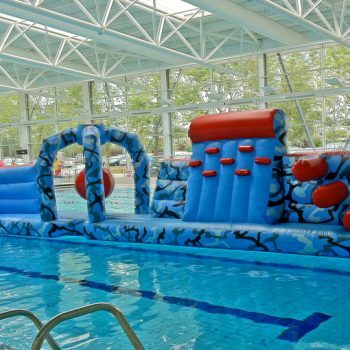 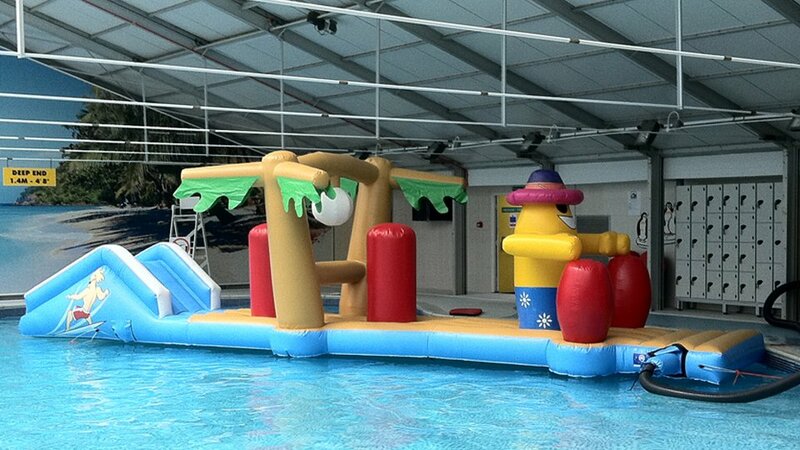 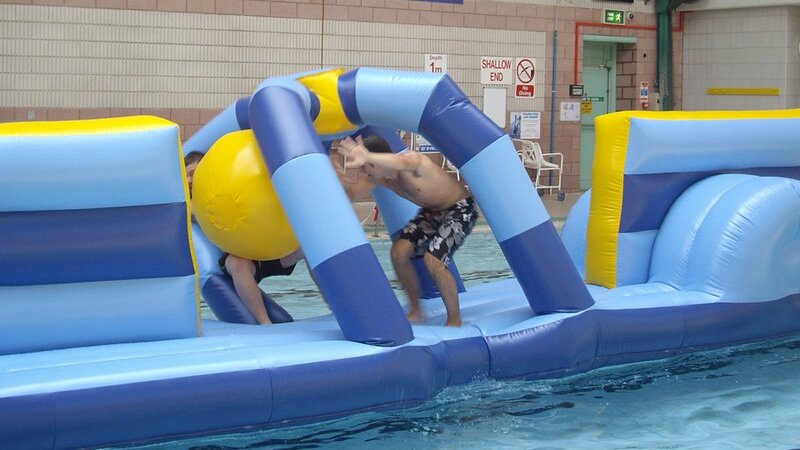 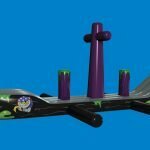 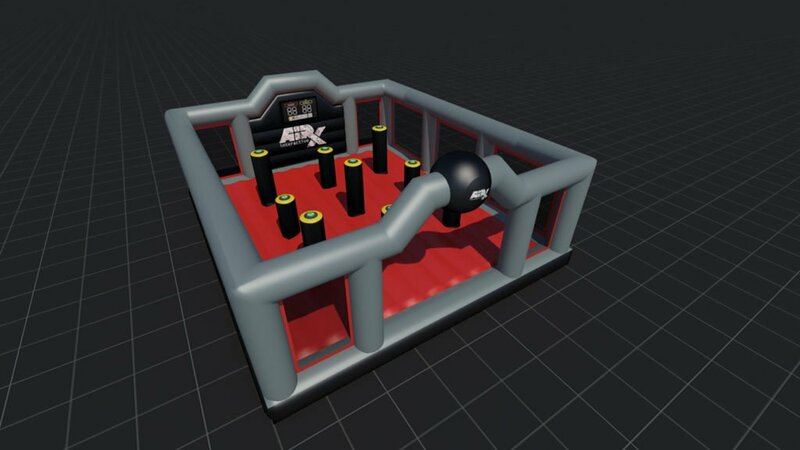 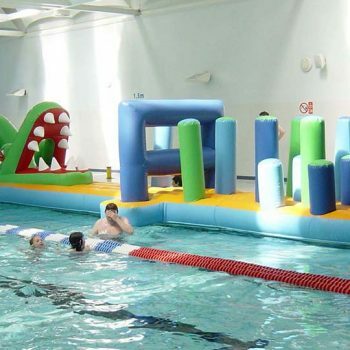 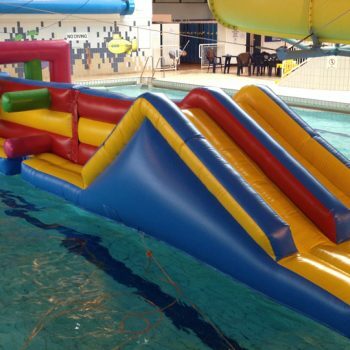 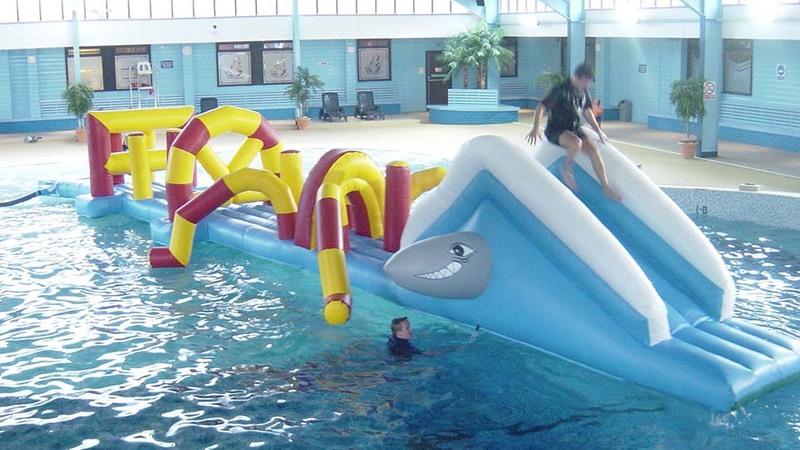 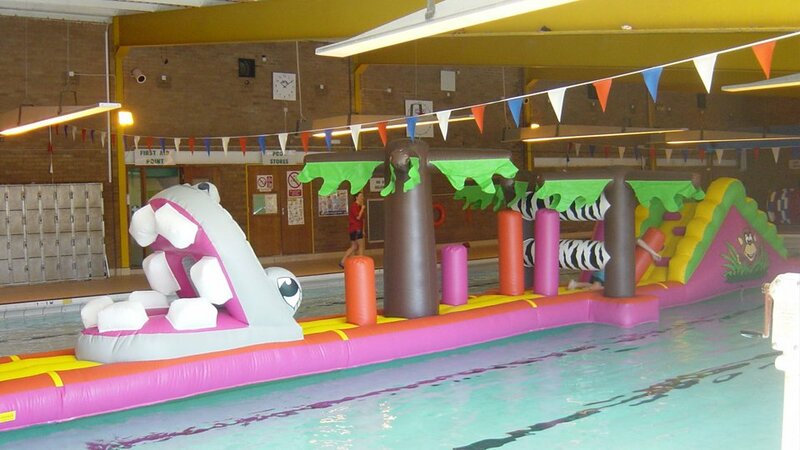 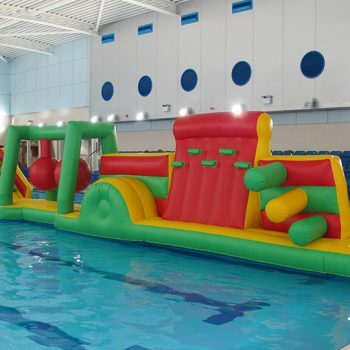 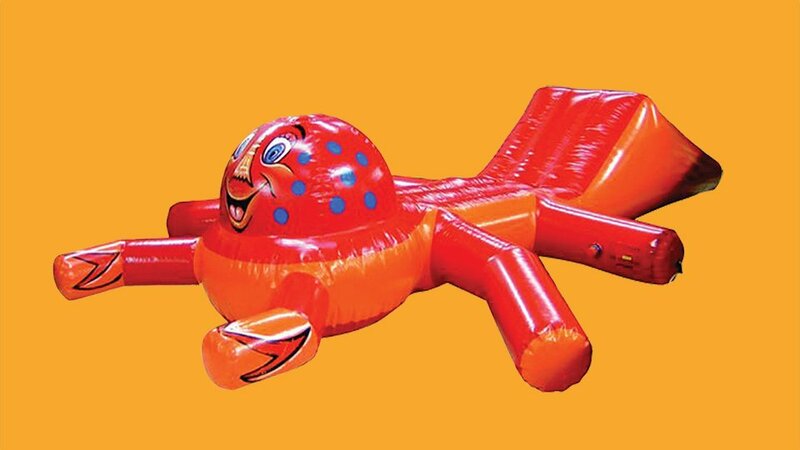 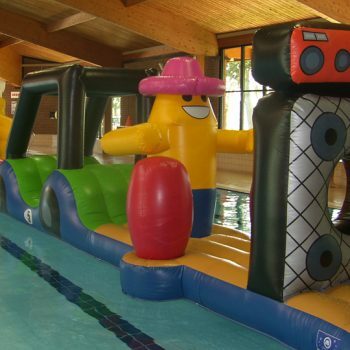 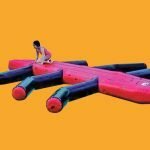 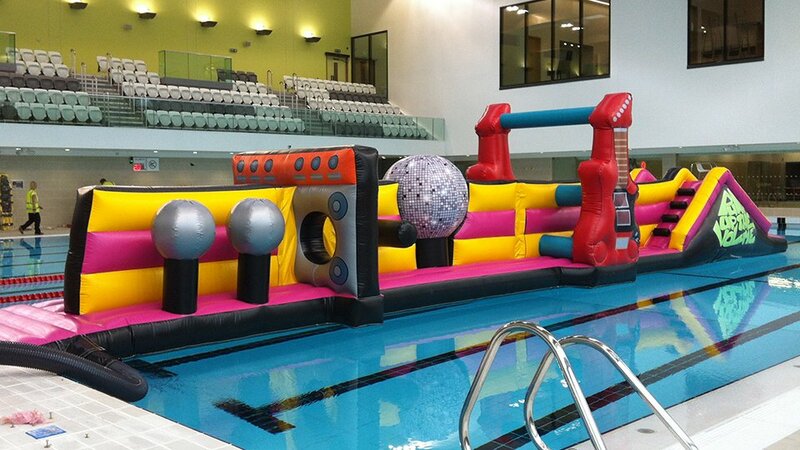 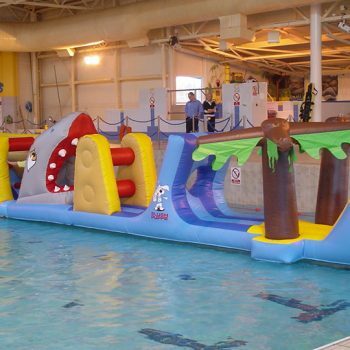 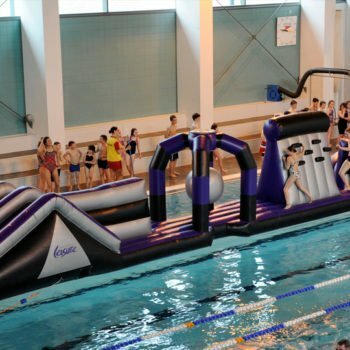 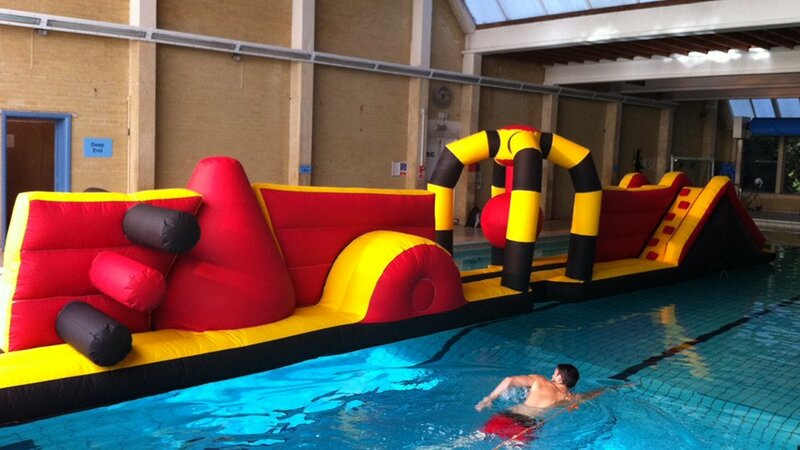 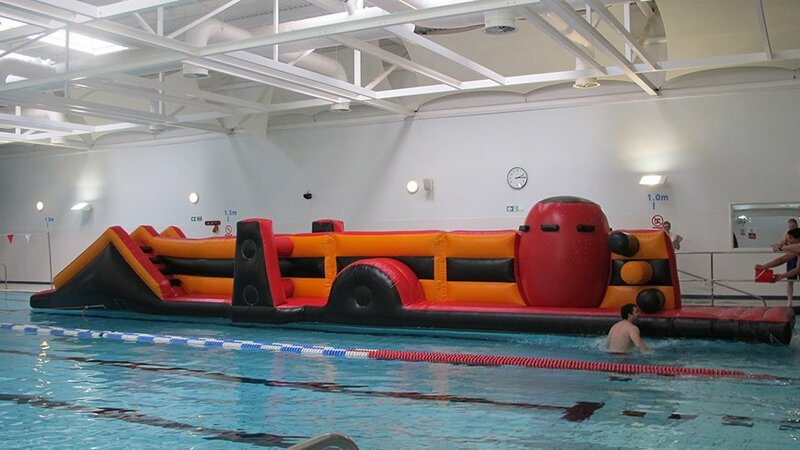 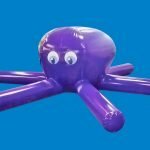 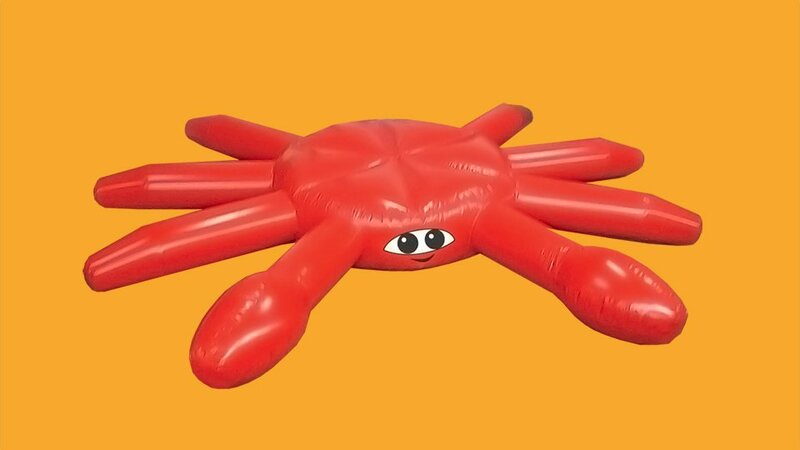 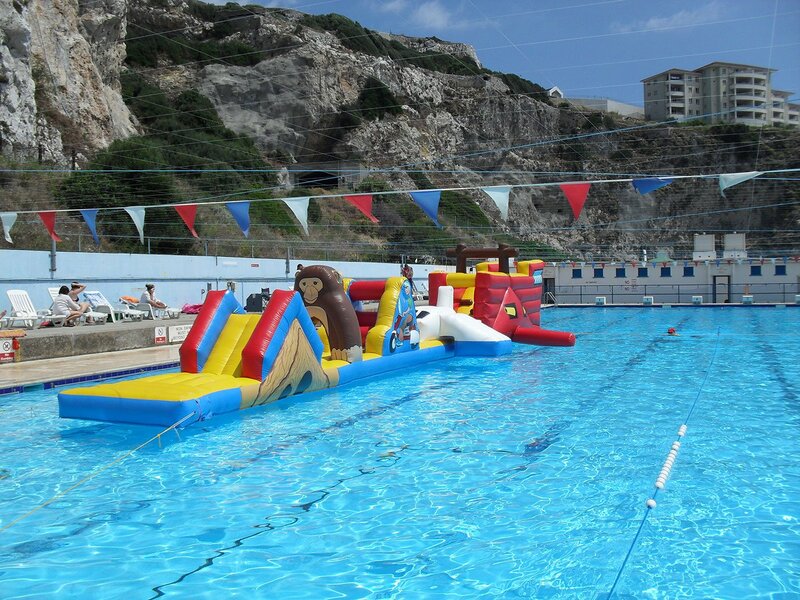 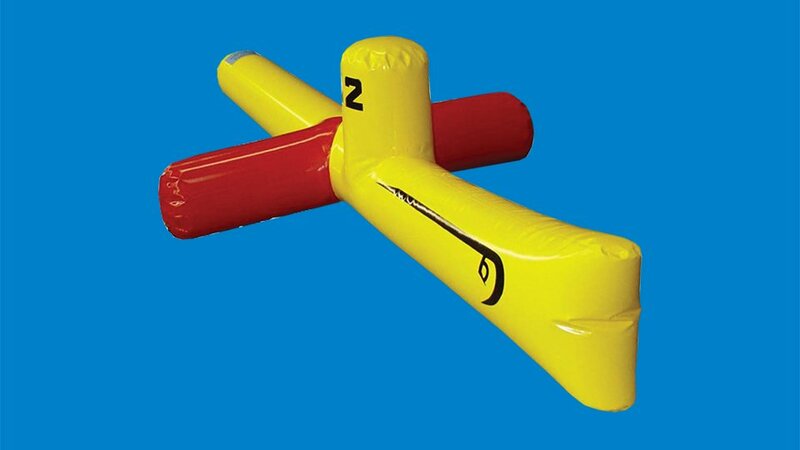 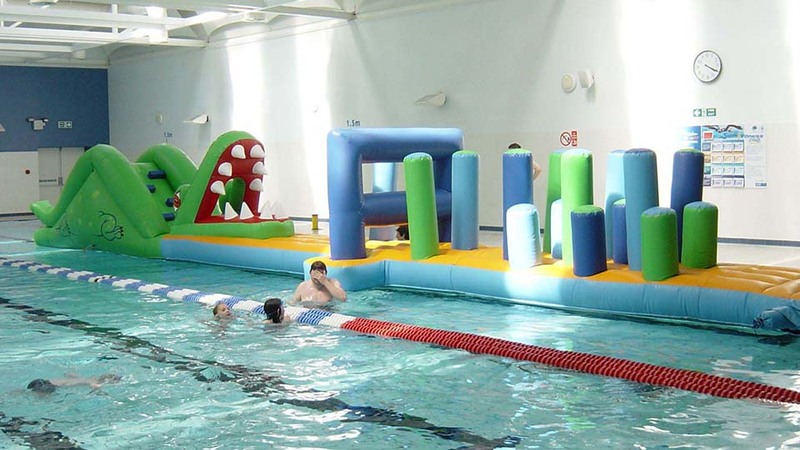 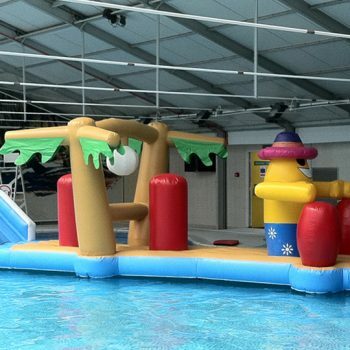 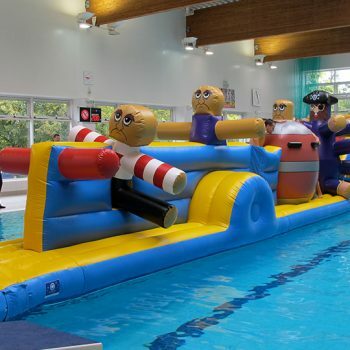 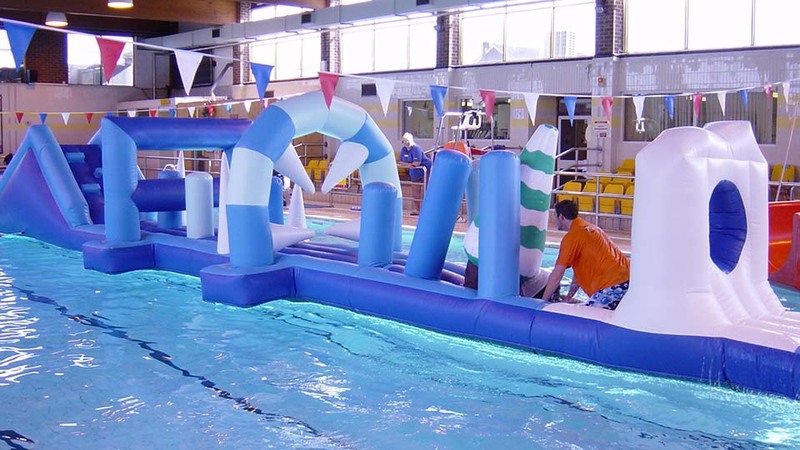 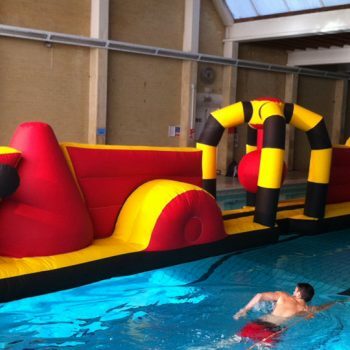 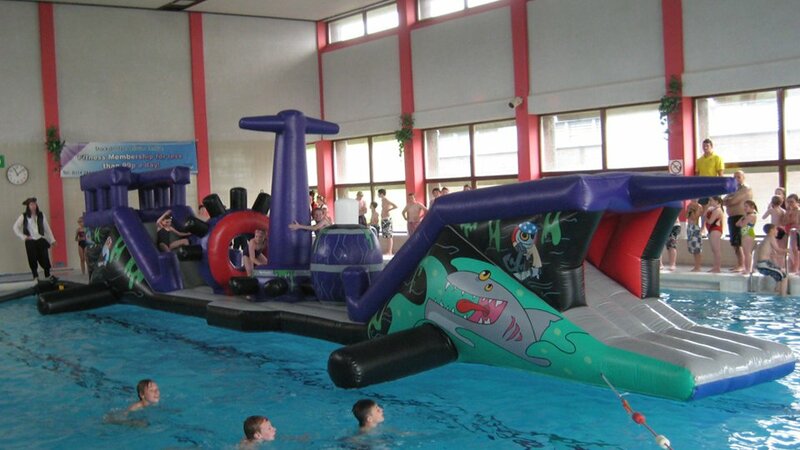 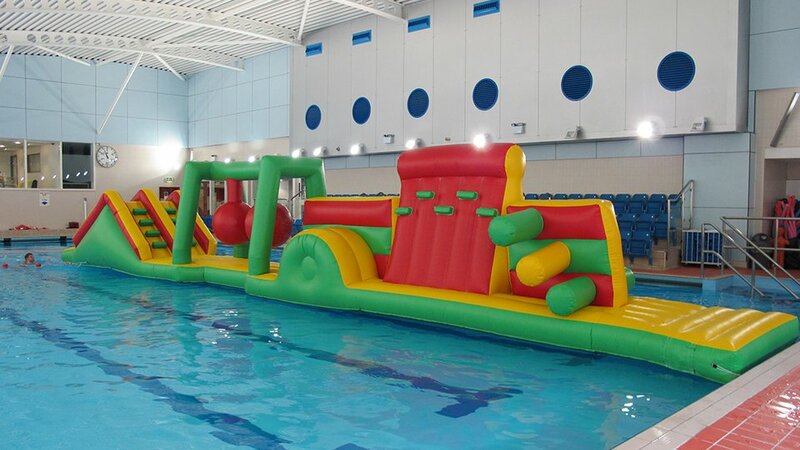 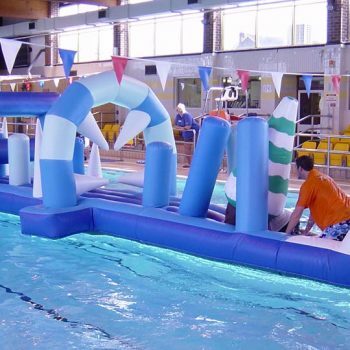 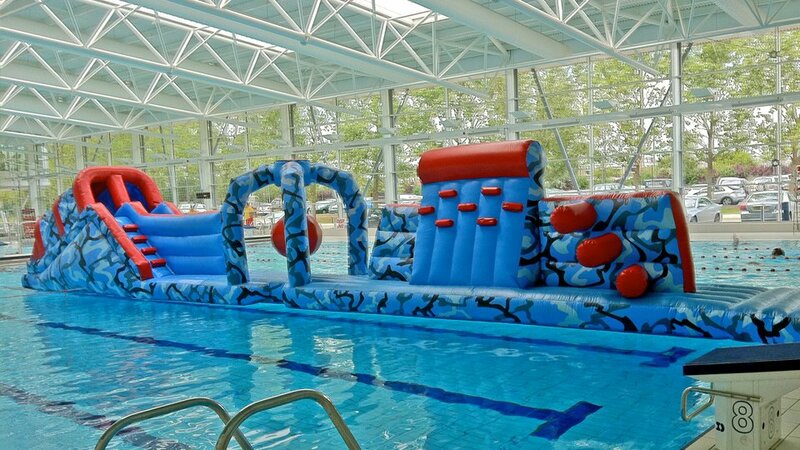 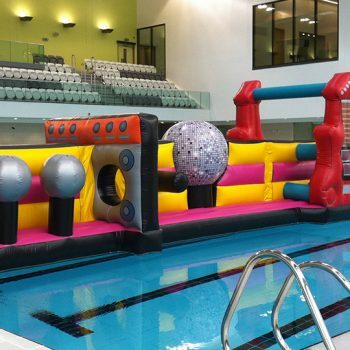 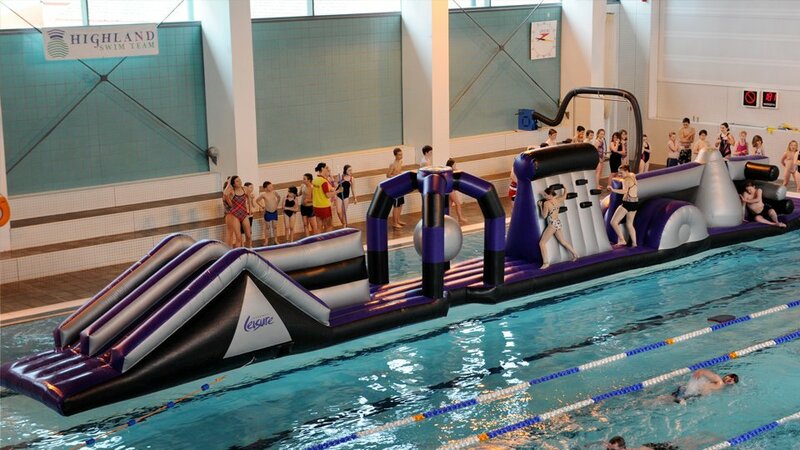 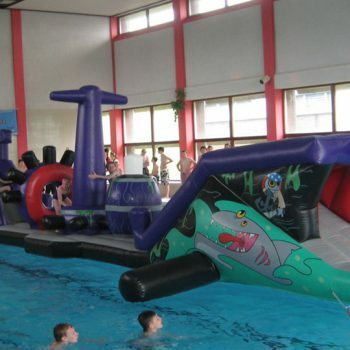 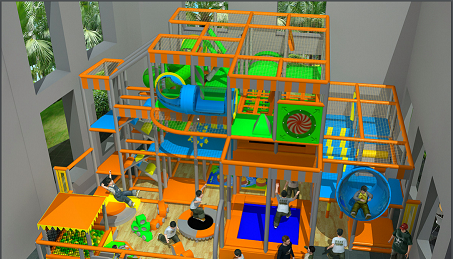 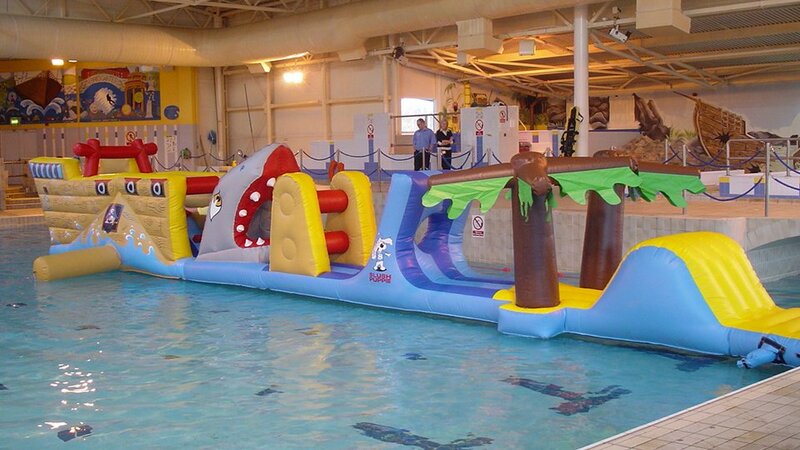 Single and dual lane aqua runs are large inflatable obstacle courses for indoor and outdoor swimming pools. 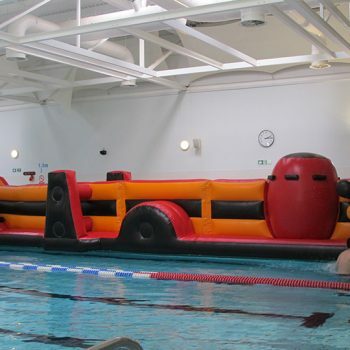 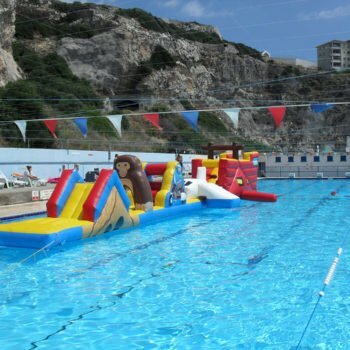 Bring relay races, time trails and ‘race the lifeguard’ sessions into your swimming sessions. 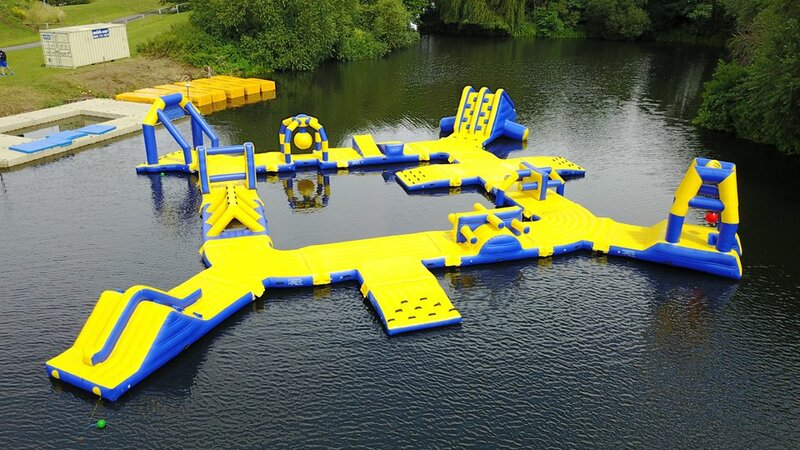 With a large variety of obstacles and challenges, our aqua runs are for everyone. 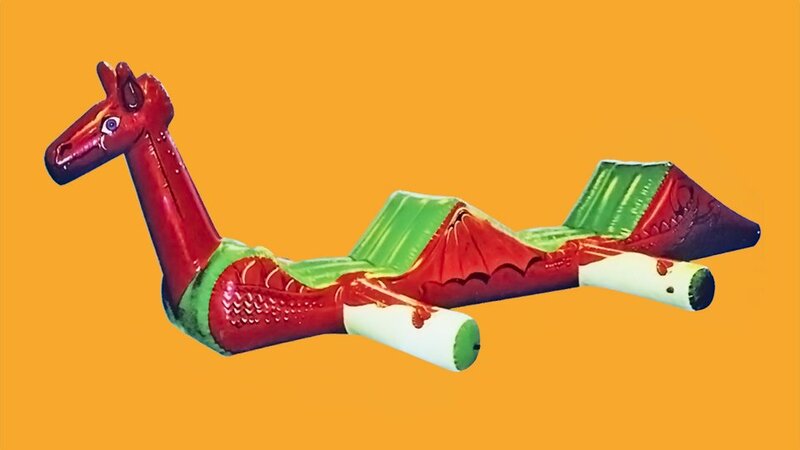 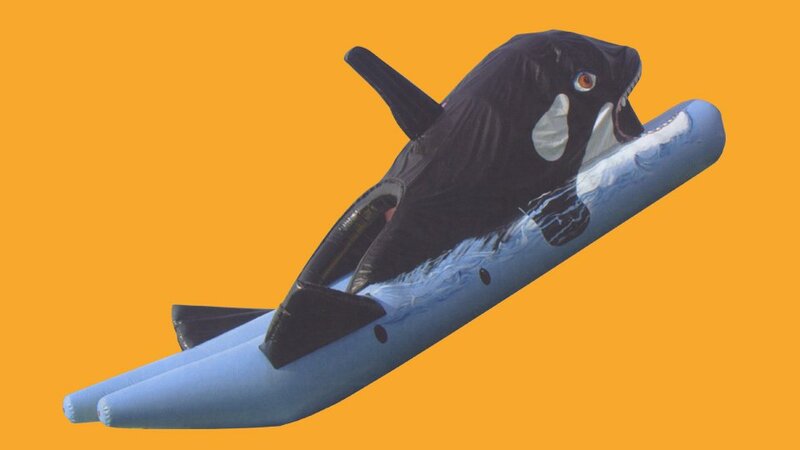 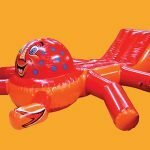 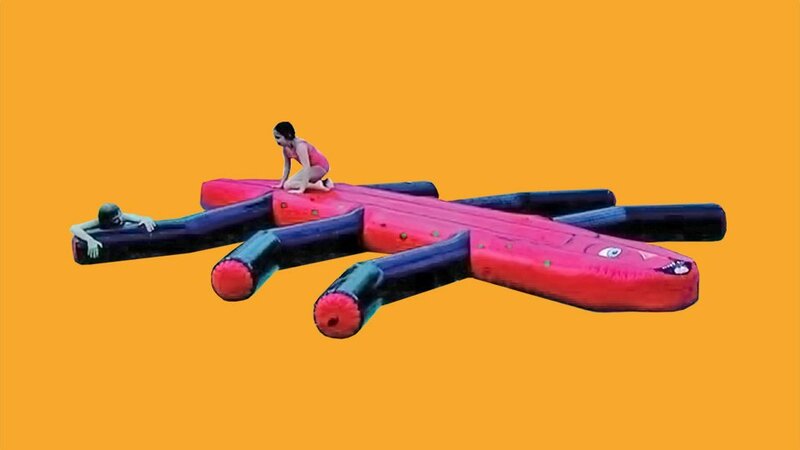 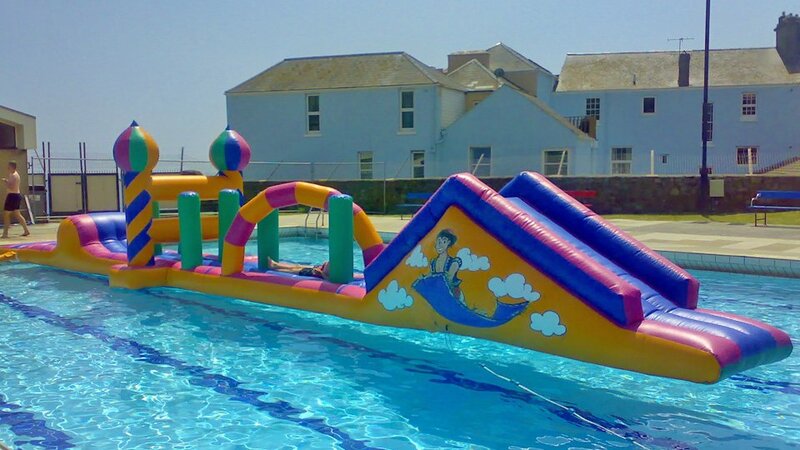 Create a huge splash with an inflatable pool slide. 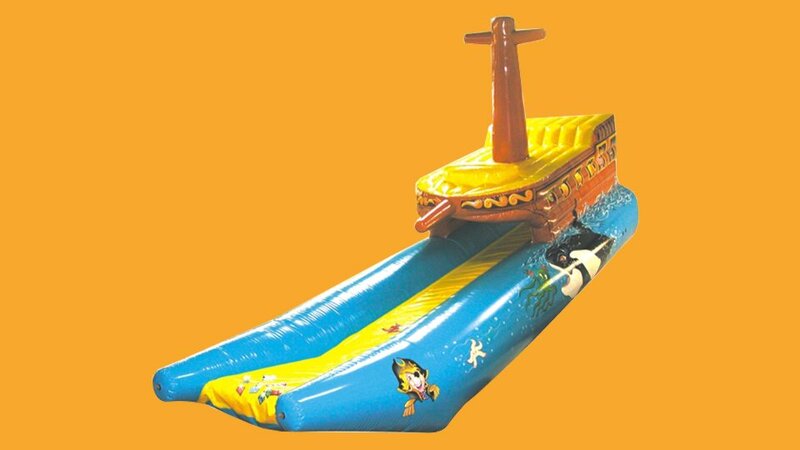 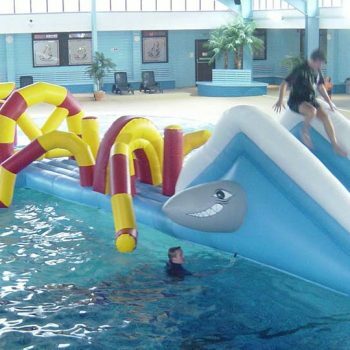 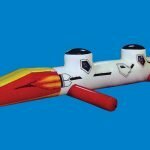 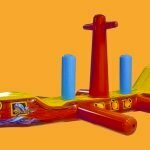 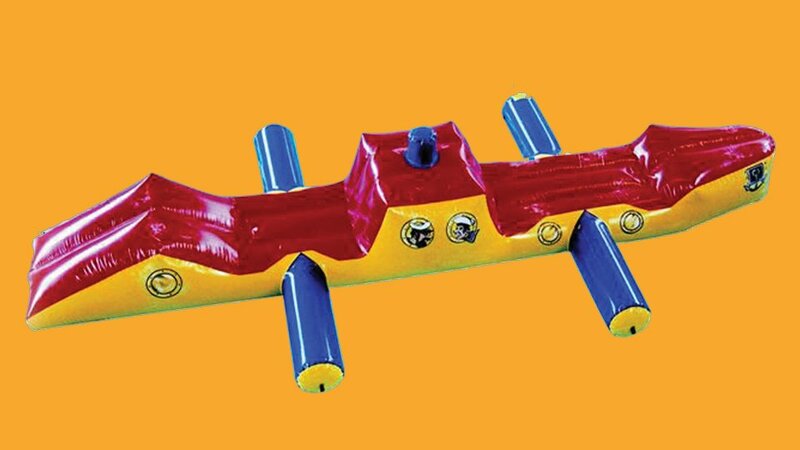 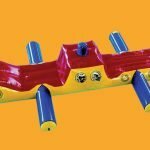 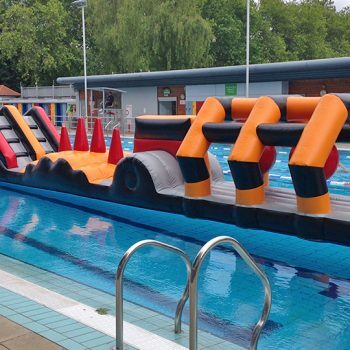 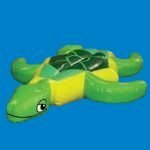 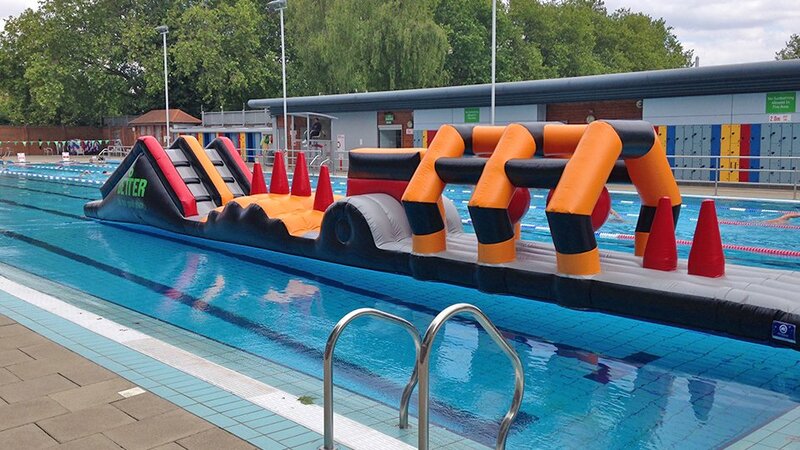 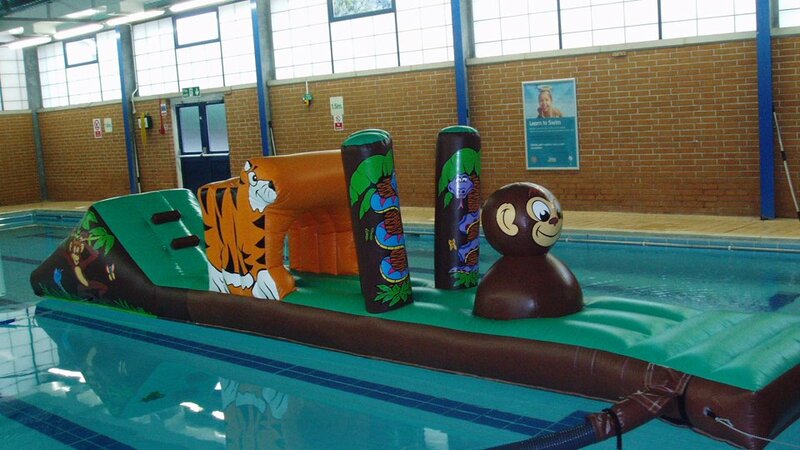 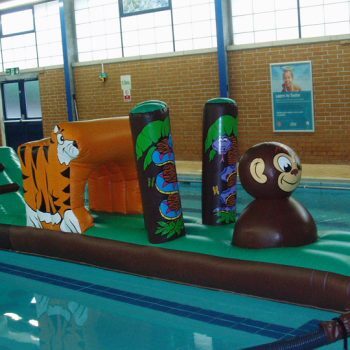 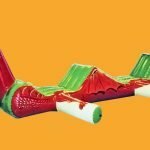 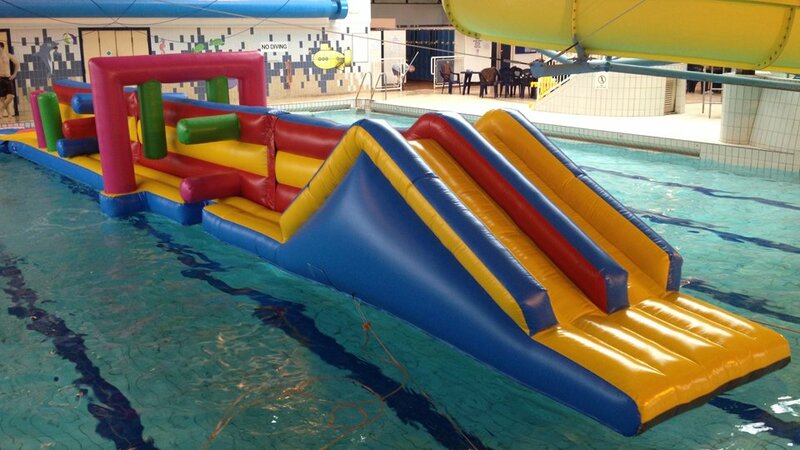 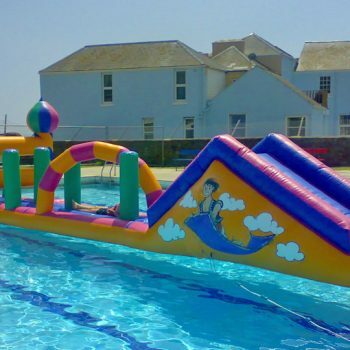 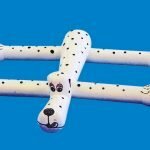 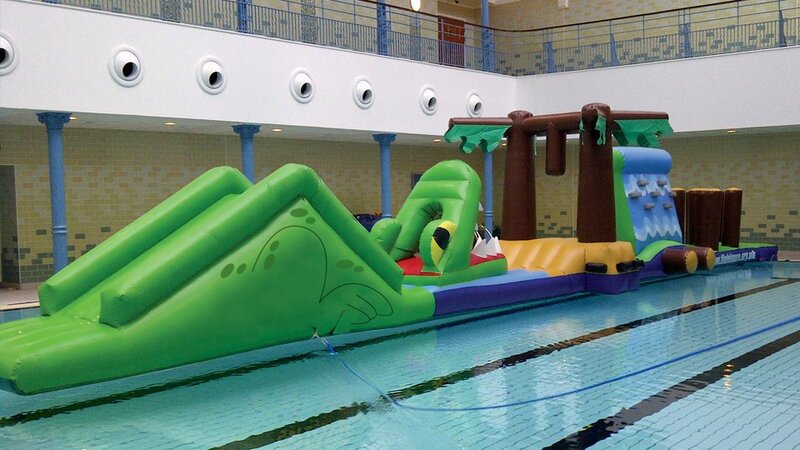 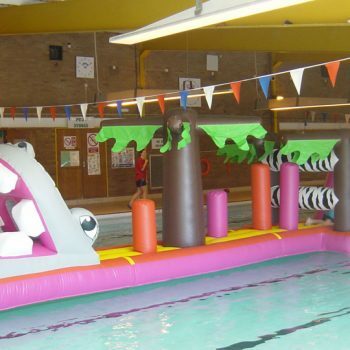 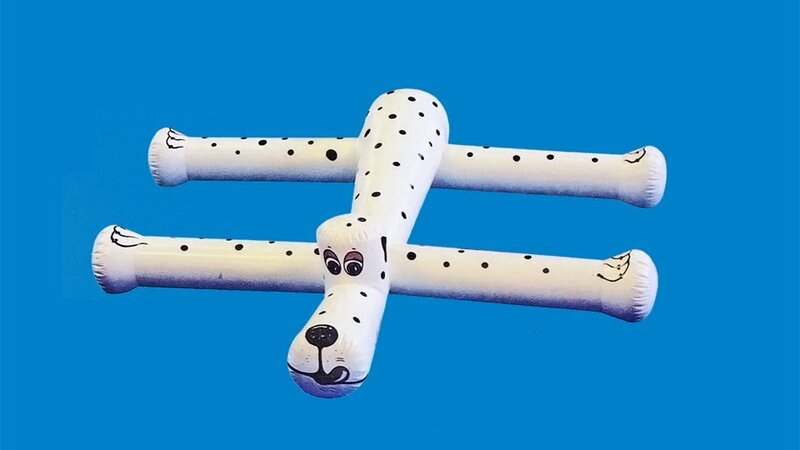 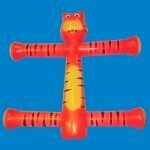 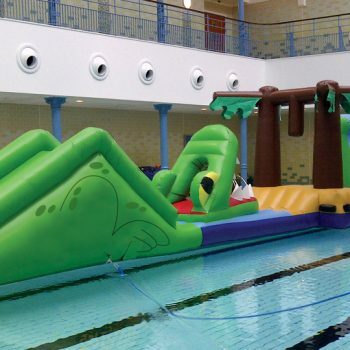 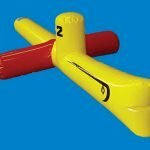 Our inflatable pool slides can be stand alone units or attached to an existing platform pool slides are a great addition to indoor or outdoor pools. 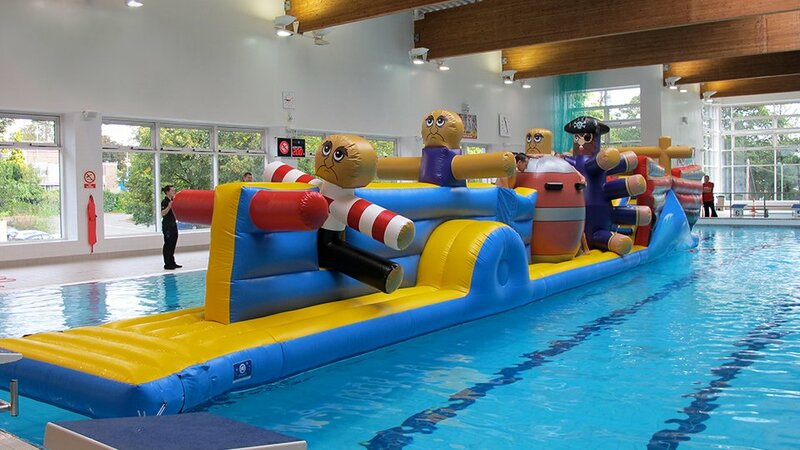 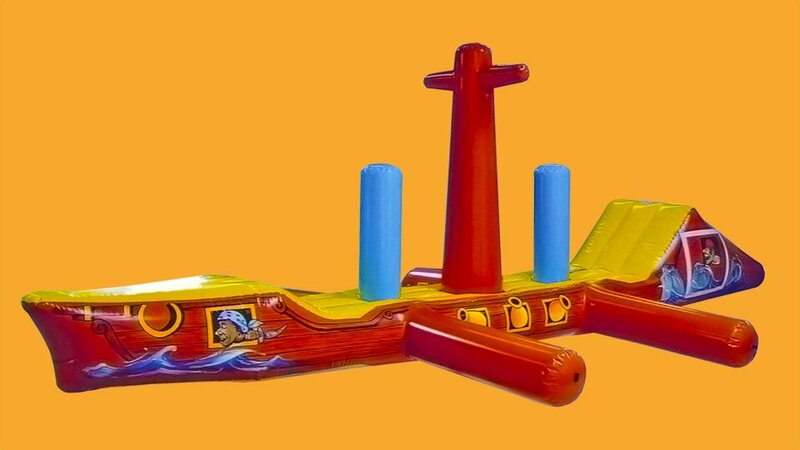 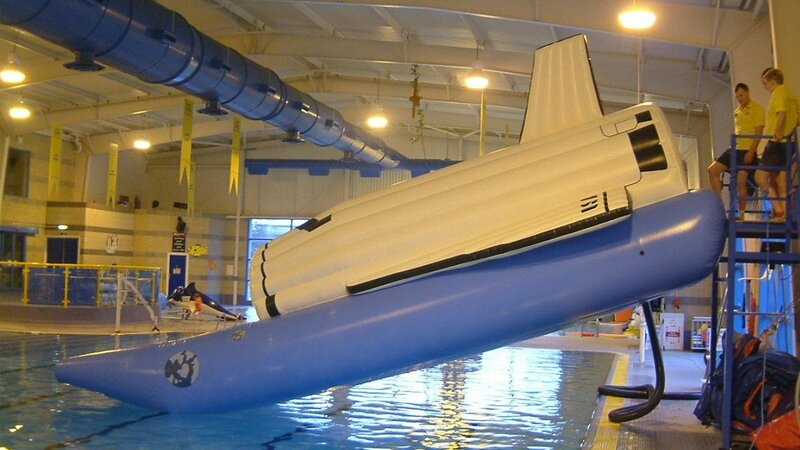 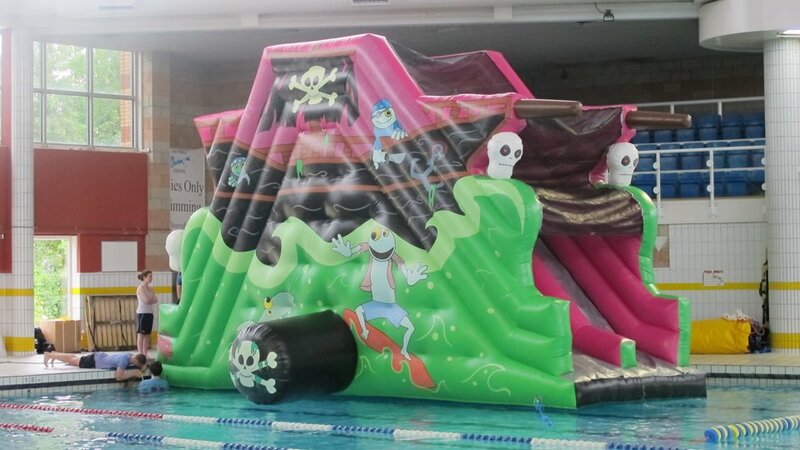 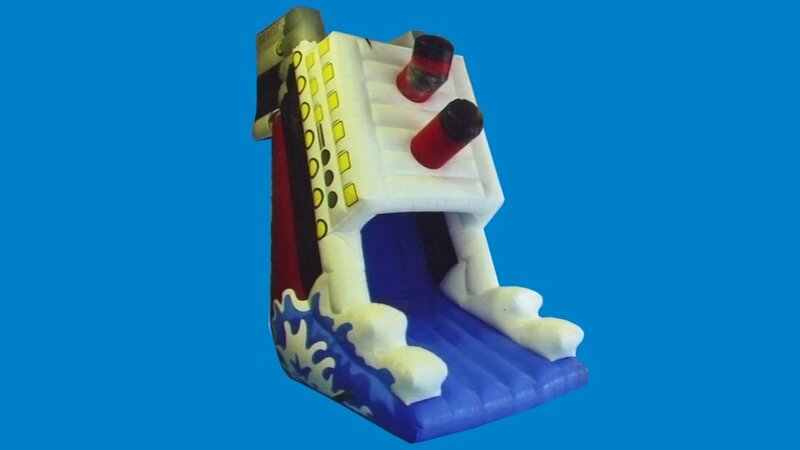 We believe that our Ghost ship stand alone inflatable pool slide is the largest in the UK. 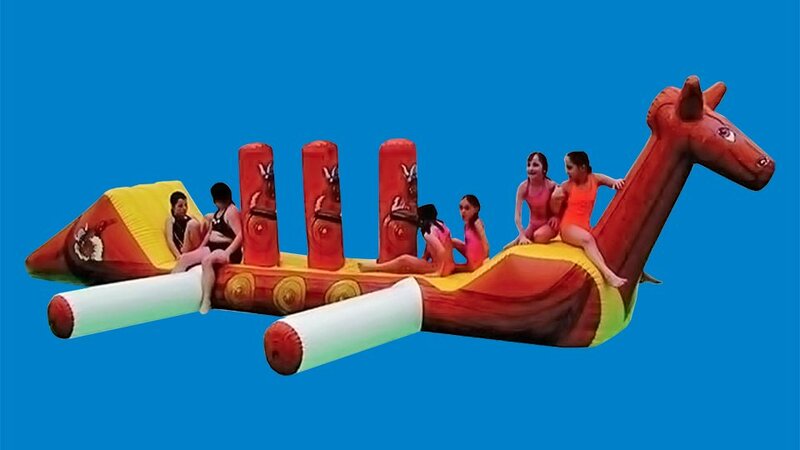 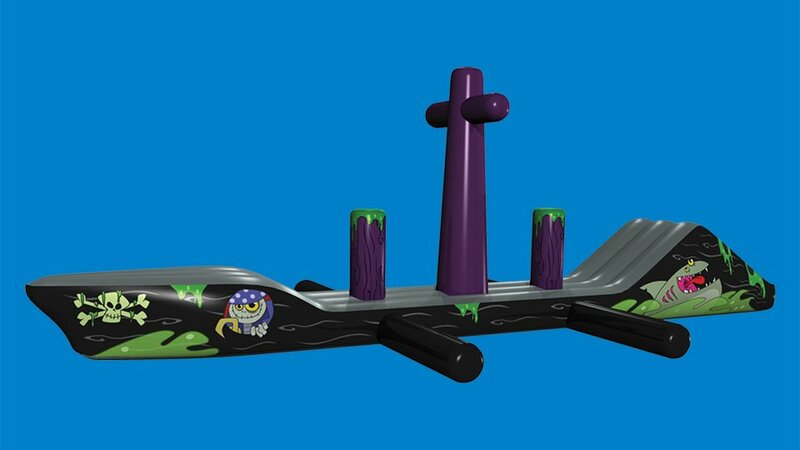 However, not all slides are required to be so huge. 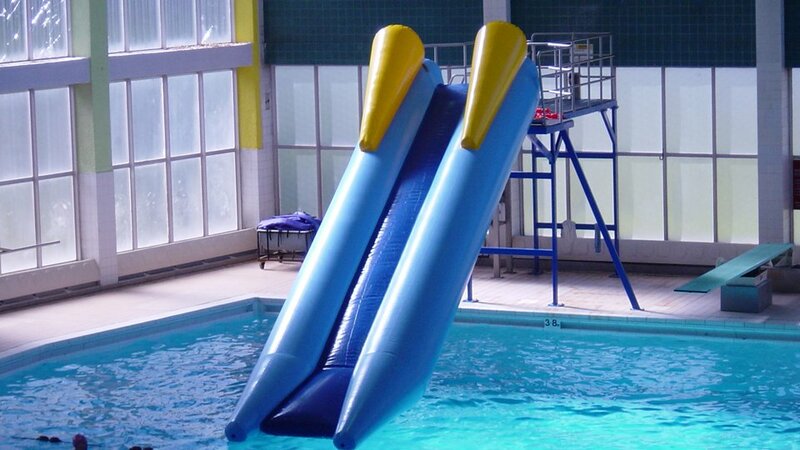 We create pool slides for all user abilities and pool sizes. 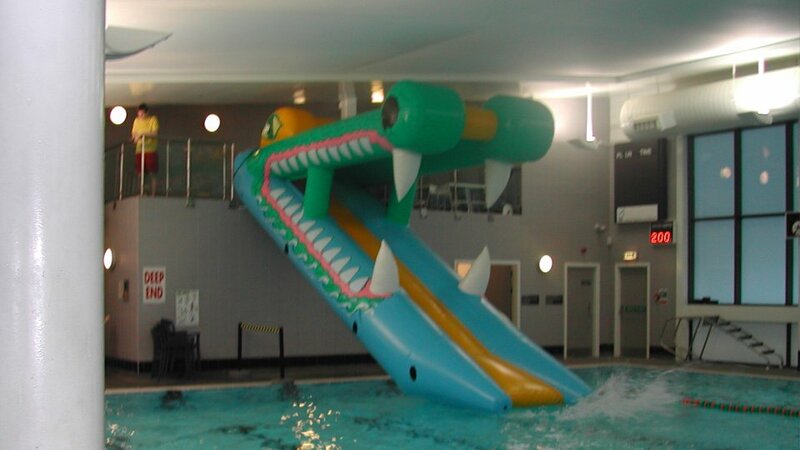 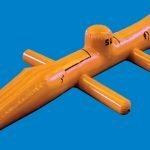 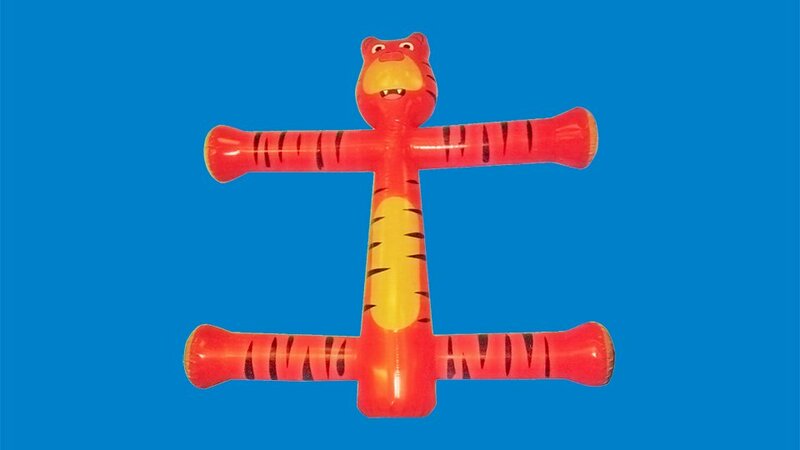 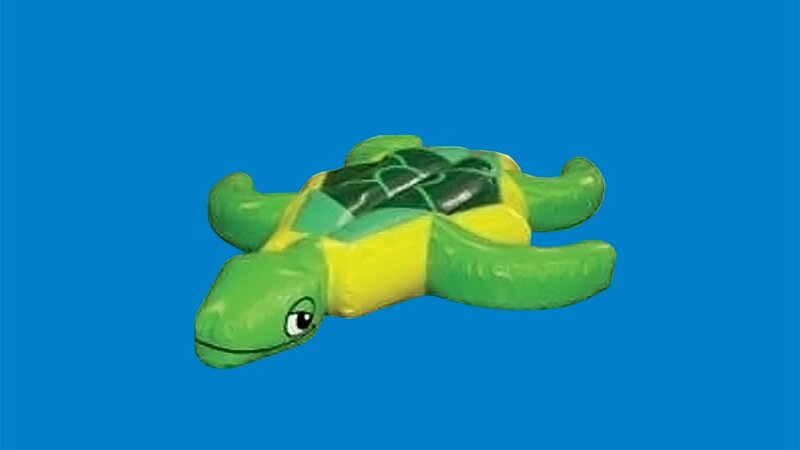 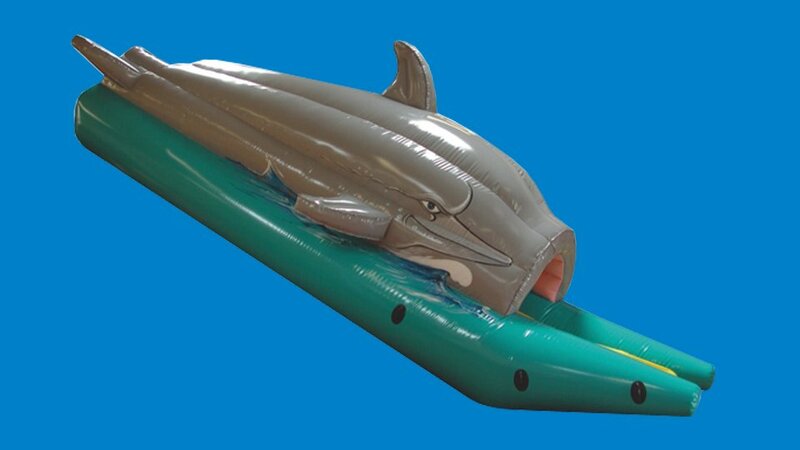 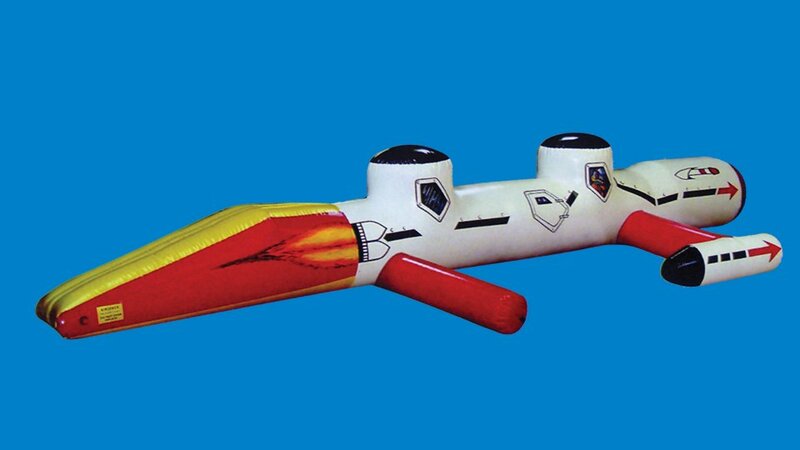 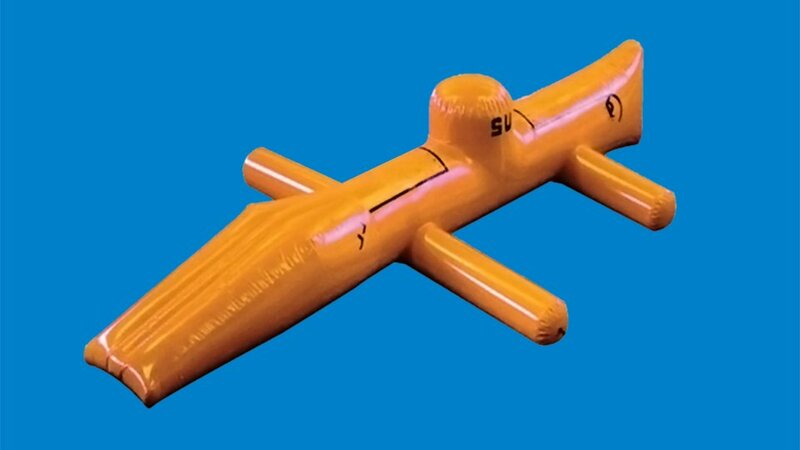 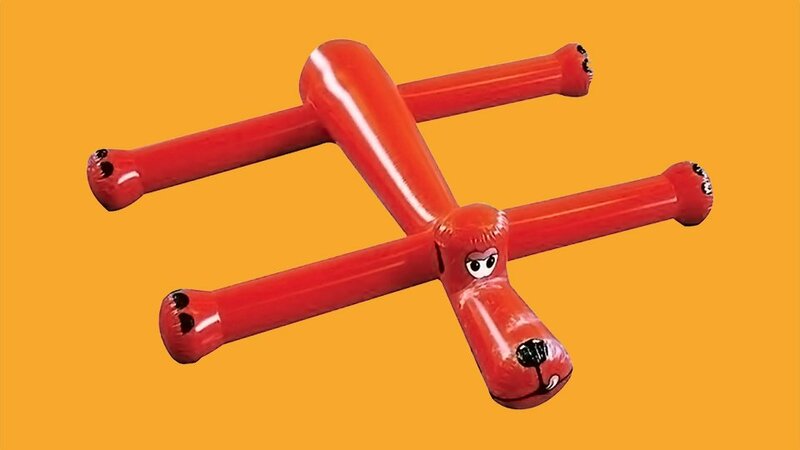 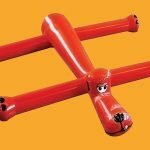 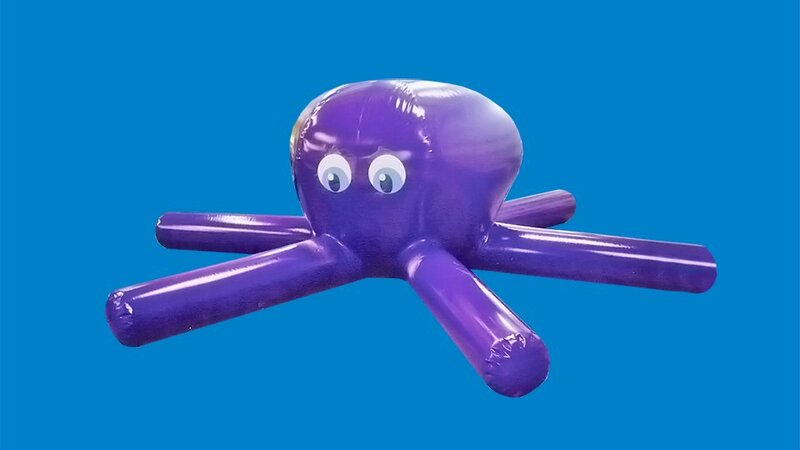 We design and manufacture sealed swimming pool inflatables that don’t require a continuous airflow.